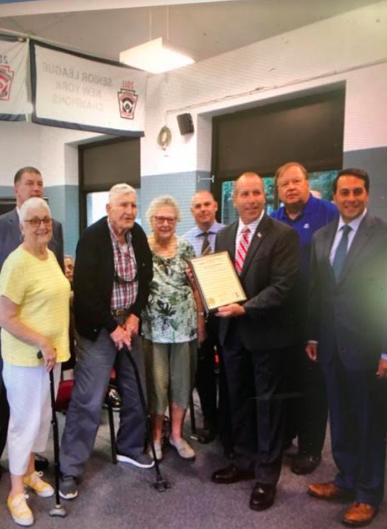 Stony Point proclaimed August 10 Edward G. Kwiecinski day, a proud WW2 veteran who will celebrate his 100th birthday on that day. Fellow veterans led the opening of the July 24 meeting in the Pledge of Allegiance. His four siblings also served in World War II–Charles; Richard; Joseph and John Kwiecinski. John was killed in combat in France. Upon returning to civilian life, Kwiecinski worked at Letchworth Village as a metal worker until he retired in 1983. Together with his wife of 70 years, Gloria, they raised five children and now enjoy their seven grandchildren.